Talented speedster breaks back into senior side for crucial Hawks clash. 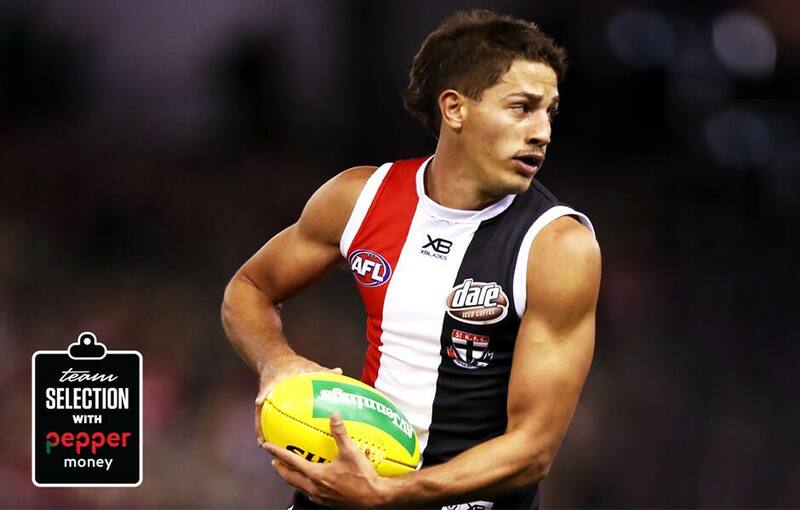 Young gun Ben Long has forced his way into St Kilda’s line-up for the must-win clash against the Hawks. Long replaces the unlucky Luke Dunstan in the final 22, with the inside midfielder omitted following Sunday’s loss to the Dockers in Perth. Long was the only change to coach Alan Richardson’s team for Sunday’s Round 4 blockbuster, meaning star on-baller Jack Steven will miss again. The veteran Saint trained on Friday but will be given an extra week to build his fitness after an interrupted pre-season. Defender Darragh Joyce (soreness) was also withdrawn from the squad, with the pair replaced by Brandon White and Ed Phillips. Ben Paton and Dunstan join White and Phillips in the list of emergencies as the selection squeeze at the Saints continues. Long was one of the unlucky omissions after the Round 1 victory over the Suns and provides the Saints with an extra goalkicker against the Hawks. A rising star nominee in 2018 before a significant foot injury, the 21-year-old adds versatility with his ability go through the midfield, as well the forward 50m. Long’s defensive pressure remains the hallmark of his game, but as his 2018 highlight reel demonstrates, there’s much more to the indigenous forward than tackling. Saints fans will remember fondly his game-breaker in the final quarter against GWS in Round 5 last year, as well as a goal-of-the-year contender against the Cats a week earlier. The St Kilda-affiliated Sandringham Zebras take on the Box Hill Hawks in the curtain-raiser at 11:50am this Sunday at Marvel Stadium, before the Saints take on the Hawks at 3:20pm.